Sometimes Jesus' parables are hard to understand. While He explained some of them to his disciples, we don't have an explanation to each and every one. This is where context and a little knowledge about first century Jewish culture come in handy. These two parables are placed smack dab in-between the parable of the wheat and the tares (Matthew 13:24-30) and the explanation of the wheat and the tares (Matthew 13:36-43). Given that context, one might assume that all three parables are related somehow. Yet we should validate that assumption before we proceed. The context of the wheat and the tares is that the kingdom of God grows alongside the kingdom of Satan. The tares look similar to the wheat when they are sprouting, so it is hard to distinguish the two. God will wait till the day of His judgment to separate the two. We know that there are people who claim to be Christians but do not have a sincere faith. There are also false teachers who try to deceive the sheep. Jesus warns us of this in this parable. So how do the parable of the mustard seed and the parable of the leaven compare? With the mustard seed, we see the kingdom of God growing into a tree. But as it gets big, birds of the air perch themselves on it's branches. This is not a good omen for any farmer. Birds are notorious for eating and destroying crops. Many first century Jews worked the land and they would have recognized this. 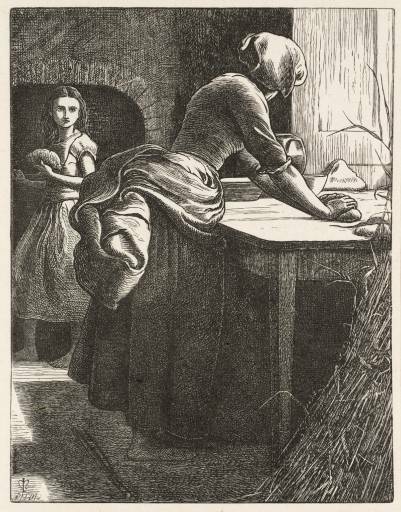 In the parable of the leaven, we see a woman putting leaven into the dough until it is mixed throughout. During sacred feasts, the Jewish people did not use leaven in their bread. Leaven was compared to sin and false teaching. Jesus' audience would have picked up on this as well. We even see Paul using this type of language when he is warning the Church in Galatia about the heresy of the Judaizers. So seeing the context of the passage and the culture of the people Jesus was speaking to, we can make an intelligent guess that Jesus is again warning about a false Christianity that would mix itself into the Church. This is why discernment is such an important thing for Christians. With discernment we can distinguish the true from the fake. We can protect ourselves from falling into the devil's trap. Satan best trick is to give you something that looks like Christianity, but in reality it falls short. How do we get discernment? By studying God's Word. The Bible is our standard with which we test all things. And when you study the real thing, you will be able to spot a fake from a mile away. So when you see quick, widespread church growth, do not assume it is a movement from God. It could just be some leaven that has been thrown into the dough to make it rise. Test it with Scripture first. If it is truly from God, then praise Him for the gospel going out to the nations. But if it is a little leaven, then reject it and turn back to the pure Word of God.